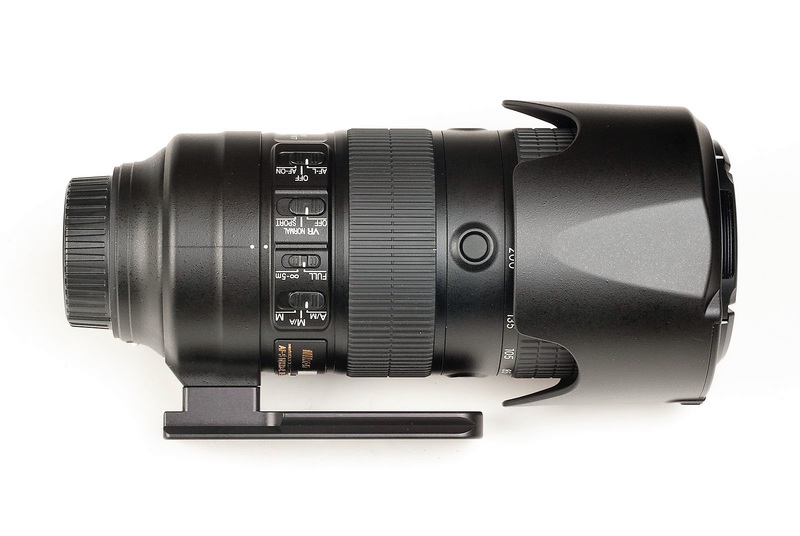 Another Low Profile foot introduced by Hejnar PHOTO for the Nikon 70-200mm f/2.8E FL ED VR this time. 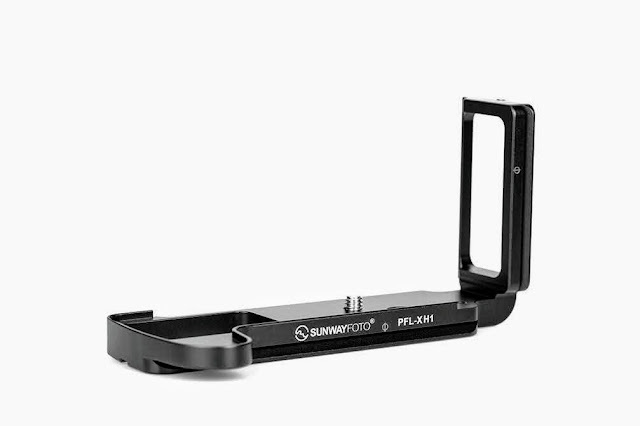 The new H128 Low Profile Replacement Foot has a shorter neck between the Arca-Swiss® compatible lens plate and the lens collar, thus allowing the lenses to be mounted more properly on some Gimbals. Especially the side mounted ones without a cradle. For reference the first Low Profile Foot was the Hejnar PHOTO H118 Low Profile Replacement Foot for Canon EF 400/500/600/800 L Lenses but similarities stop to the Low Profile, since the H118 has a completely different mounting approach. Much like its siblings in the Hejnar family each foot is precision CNC machined out of a solid Aluminium block with a double dovetail in front and the appropriate collar base at the rear. 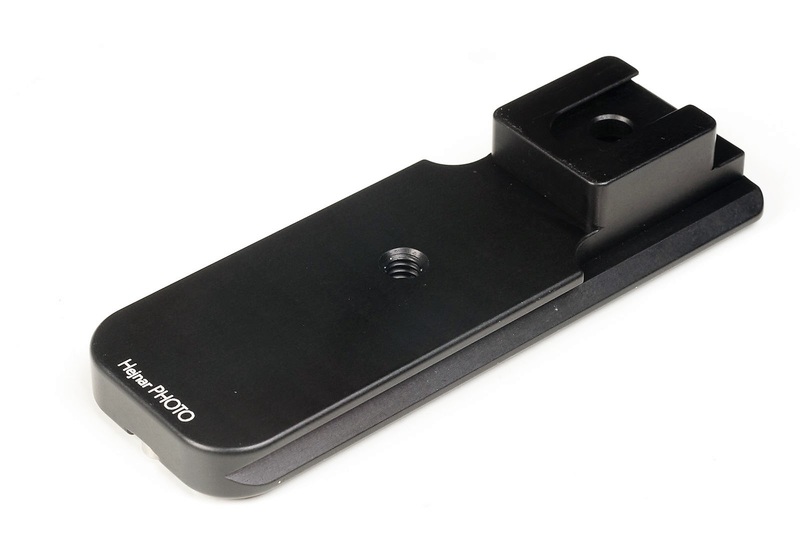 However the H128 is extremely lightweight compared to many other replacement lens feet, as it weight like a lens plate. 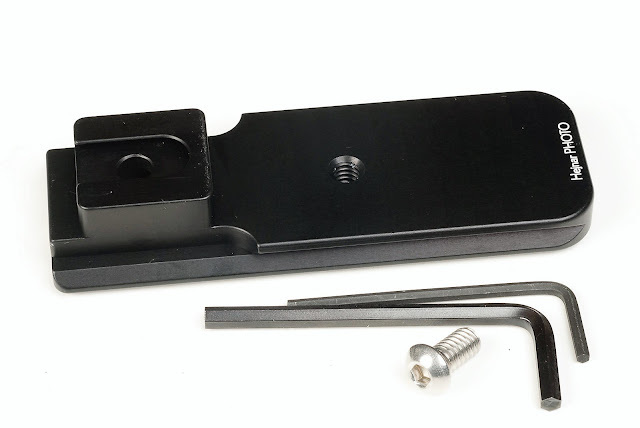 The double dovetail enables a flash bracket or any other device with a small Arca style QR clamp to be mounted on the top dovetail while the foot is clamped on a head by the lower one. The H128 bottom side is deeply carved leaving a central brace, where 1/4"-20 hole is tapped allowing the foot to be directly mounted on any kind of pod with an equivalent stud. A deep countersunk hole exists at the rear below the mounting block serving to host the provided mounting screw. 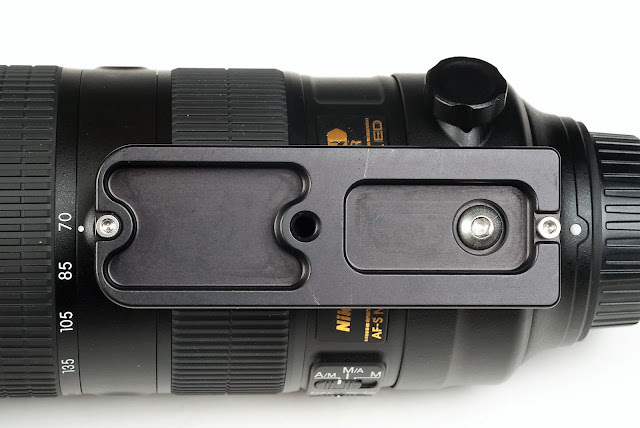 Replacement of the Nikon Foot is very straightforward. All it needs, is to release the original Foot, insert the H128 Replacement on the lip of the Foot Plate and then secure it with the provided hex-cap screw. 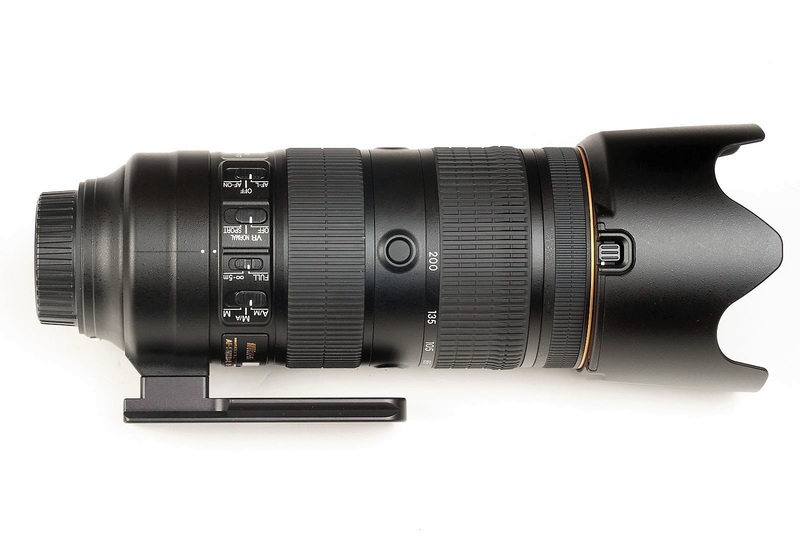 Hejnar H128 Replacement Foot mounted on Nikon 70-200mm f/2.8E FL ED VR with 1/4"-20 screw. It is recommended to use a thread locking compound like Loctite 242 (blue) or any other equivalent product of medium strength for small screws. 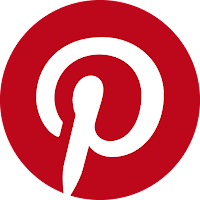 This will prevent the mounting screw from loosening up sometime in the future. Since we are talking for a Low Profile Foot there is only 1.14 cm (0.45") clearance between the foot plate and the lens barrel. Nevertheless, is enough to handle the lens, while it allows also for the Lens Hood to be reversed for transport. Hejnar H128 Replacement Foot on Nikon 70-200mm f/2.8E FL ED VR with reversed hood. 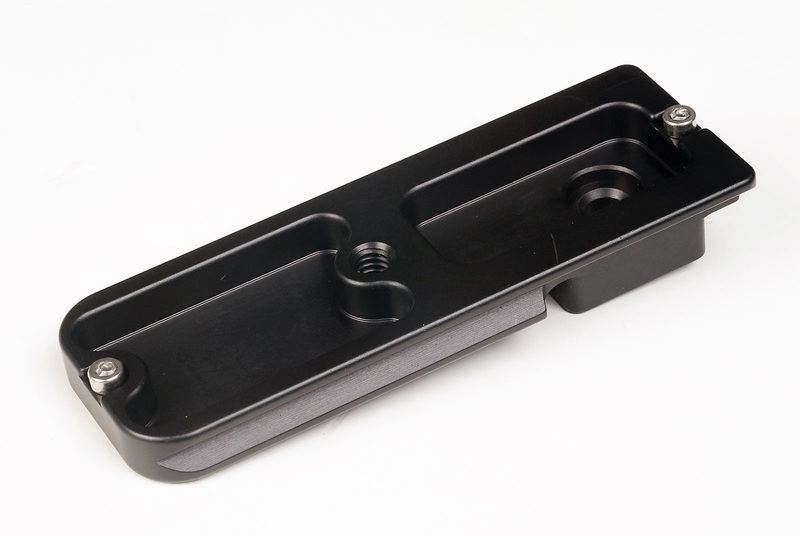 Current price for the H128 Lens Foot is US$ 60.00 (+Shipping where applicable) and is available from the Hejnar Photo online Store.